This article was reviewed by Jacomie Nel, CDE, RD, MSc. She is a registered dietitian with a BSc Dietetics degree and she is currently doing her Master degree in Dietetics. Jacomie completed the CDE Advanced Diabetes course and did a Diploma in Exercise and Sports Nutrition. 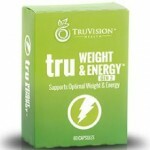 Truvision is a company that produces various supplements, all geared toward a healthier lifestyle. This company has produced supplements that include weight loss products and meal replacements, among other specialized products, and can be used by any gender and any age group. This company makes their supplements available to a wide variety of consumers and they ship their products all over the world. Most of their products are offered through a program that allows the users to try the products before making the actual purchase. Who is the Manufacturer of Truvision? Truvision Health was established in 2014 and produces a variety of supplements. The company is run by a trio of partners who aim to produce supplements that help improve people’s health and lifestyles. They claim that their products are inspired by nature, are composed of natural ingredients, and that they are fast acting and work with minimal side effects. These weight loss supplements are said to regulate blood pressure, blood cholesterol, liver functions and boost the user’s immunity. The weight loss product reviews say that the supplements produced by this company work differently from others on the market to improve the user’s health. They have unique ingredients that provide positive results to the user and each product works differently depending on the problem it addresses. TruFix – This dietary supplement is comprised of natural extracts which help to regulate blood pressure, blood sugar, support liver function and maintain a healthy level of cholesterol. TruControl – This is another dietary supplement that was included for weight management and works by providing clear focus, boosting metabolism and speeding up the fat burning process which leads to increased energy. ReActivate – This supplement supports ketogenesis and helps the user meet their fitness goals. RePlace – RePlace is a meal replacement shake that contains essential nutrients and probiotics plus other quality ingredients that are highly potent. Reform – This ingredient is composed of a unique blend of ingredients that may help the user lose weight. Truvision Ingredients – Are they Safe & Effective? We dove deep into the science of these product’s ingredients to see if they’re worth purchasing . Here’s a summary of our findings. Green Tea Extract – This helps to speed up the breakdown of fats and stop their oxidation. This ingredient also has antioxidant properties that protect the body against oxidative damage. Dendrobium -This ingredient helps to improve skin health by hydrating and nourishing the skin. It has been used to treat a number of health conditions but has not been fully tested on humans, which means that the product might cause side effects. Bitter Orange – Bitter orange helps to improve the health of the digestive system by reducing constipation, nausea, and indigestion. Caffeine – Caffeine has numerous health benefits which include supporting metabolism for effective fat-burning. Truvision Review – Does it Really Work? What are the Advantages of Truvision? These products may be fast-acting. These products may improve the overall health of the user. Their products are made up of natural ingredients. They can be used by men and women of all ages. What are the Disadvantages of Truvision? It is unclear exactly how much of each ingredient has been used in their formulas. They may not be as effective as they claim to be. There are mixed customer reviews. How Should You Take Truvision? Because products come in a different form, such as shakes, tablets and oils, each one has specific dosage instructions. What are the Precautions When Using Truvision? Results will vary depending on the individual but it is recommended that they are taken on a regular basis for optimal benefits. To date, there are no independent clinical studies that prove TruVision’s formulas are safe and effective. However, many of the individual ingredients in TruFIX and TruCONTROL have been scientifically tested. Several other companies make products similar to TruVison’s TruFIX and TruCONTROL with some showing varying degrees of success in scientific studies, including Plexus Slim & Thrive Patch. How much does a bottle of TruVision cost? A bottle of TruVision costs $50 and contains a two-week supply. Where can I buy TruVision? TruVision can be purchased on their official site. Does TruVision have a return policy or guarantee? 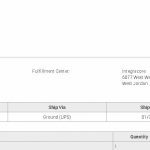 Yes, TruVision does offer a return policy which stipulates that consumers can return unused products to the company within 30 days for a 90% refund. There are many companies that specialize in the production of health and nutritional supplements and they all claim to provide the best supplements on the market but it is impossible to know exactly how well they’ll perform without trying them. Truvision claims to provide good quality supplements that improve the lifestyle of the user in a number of ways. While their products are manufactured using natural extracts that work within a short time to provide the desired results, ingredient information is minimal and the manufacturer offers no clinical proof, which may deter some consumers from buying them. Truvision has really been helpful in my weight loss journey. The results I’ve gotten since I started using has been astounding. Even my doctor is surprised with the results so far. In the last 4 months, I’ve lost more weight than I have in the past 3 years. TruVision’s supplements helped to boost my body metabolism,and suppressed my food cravings. Before Truvision, I would eat at least 7 times daily, and I would still be hungry. But now I eat as little as I can, and I still have enough energy to last through the day. Truvision is produced with natural products such as GreenTea Extracts and Bitter Orange. It is also fast reacting and breaks down easily in the body. I feel like my stomach is looking smaller, but the scale isn’t budging, so I’m not sure what is going on here. Maybe I was more bloated than I thought with water and inflammation. I have no idea. I’ve heard of a water-related loss that doesn’t show up on the scale. I think they call it an NSL (non-scale loss)? So far, I am undecided about Truvision. It may work or it may not work. All I know is my stomach seems smaller and less bloated. It didn’t work for me. I’ve tried other weight loss products that have helped me to a certain extent, but this one hasn’t helped at all. I also don’t like how jittery I feel when I’m using it. If I wanted to feel like that, I could have just had a couple of espressos! I’m tired of trying these products that are completely ineffective. It’s just a big waste of money. Truvision is supposedly one of the best supplements to improve your lifestyle and enhance weight loss. I did not lose any weight and I feel unhealthier than before. I skipped some meals because the product is supposed to replace them. I really thought this would make the weight drop off! Unfortunately, I still maintained my weight, I am unhealthy, and I wasted my money. Losing weight has been my goal for so long, and I thought Truvision would help me achieve it, but now I am frustrated. Truvision is the worst weight loss supplement and people should stop wasting money buying it. I didn’t lose any weight on Truvision. I’m incredibly displeased! In the year after menopause, I gained 15 pounds, and it upsets me terribly. I started dieting, but it was going so slowly I decided to get the help of an herbal supplement. I really thought that Truvision would help me shave off the extra weight. I took it every day religiously for 3 months, and I only lost 7 pounds in all that time. I’m angry and disappointed, and I want to let others know that this product is a waste of time and money. There are plenty of other weight-loss products on the market. I am down 110 pounds. The cravings for sugar and bread are gone and I have more energy and feel better than I have in 12 years. I will be 50 this year and I’m actually excited about it now thanks to this product.